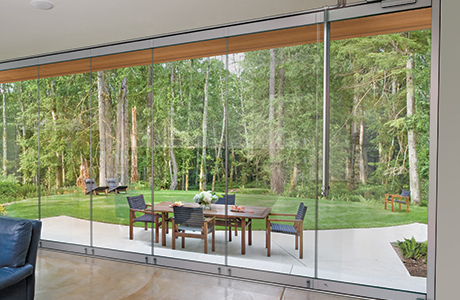 Standard to sliding panels is the foot activated floor bolt. 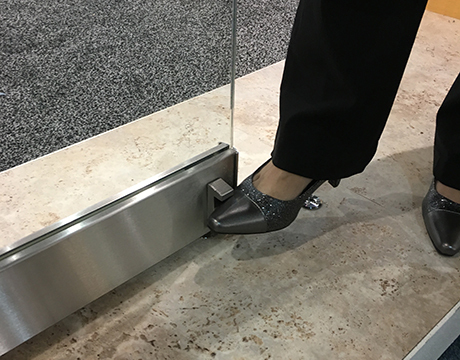 This floor bolt is easily controlled with the foot, eliminating the need to kneel down when locking the panel into place. Foot activated floor bolts have bumpers to avoid metal to metal contact. 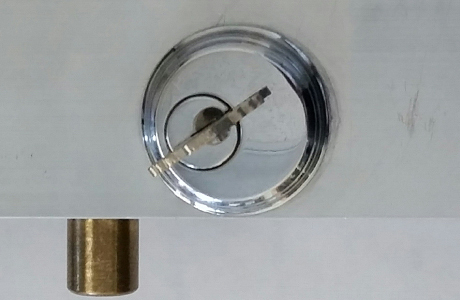 For swing panels with the Reverse Tubo200, a full mortise cylinder with key/key is provided at the bottom rail. For swing panels with a push/pull or pushplate/pull handle options, the bottom rail is outfitted with a half mortise cylinder with key operation on the inside only.